Rosie recently met with the Home Office Minister with responsibility for crime reduction, Alan Campbell MP. She brought with her representatives from the AA to discuss the problem of rogue wheelclampers. Following earlier representations made by Rosie and other Members of Parliament, the Home Office is working to find solutions to concerns raised by people who have suffered at the hands of cowboy clampers. At their meeting, Rosie and Edmund King, the president of the AA, made the case for local authorities being given the power to licence parking areas which are to be enforced by clamping and removing vehicles – in fact many local authorities would be happy to regulate private car parks – they already can in law. The Home Office should prepare or threaten legislation to outlaw private wheel clamping and vehicle removal so that the industry knows that if further regulation fails clamping and removal will be outlawed as it is in Scotland. In the past, Rosie has been contacted by many constituents who have been clamped in Doncaster town centre, unaware of the offence they were committing. 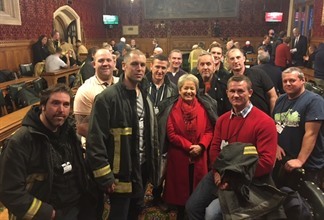 She has worked closely with the Executive Mayor of Doncaster, the police and local residents to raise awareness of the problem and was instrumental in pushing the Private Security Industry Act through Parliament. Permission to Clamp - Check that the owner of the land has given the clampers permission to clamp there. Clamping without permission is a criminal offence. Small Claims Court - If you feel you have been clamped unfairly (perhaps because there were no warning signs) you can pursue the case in a small claims court which is simple and does not require a solicitor. Damage to the Car - If the clampers damage the car then complain to the police.